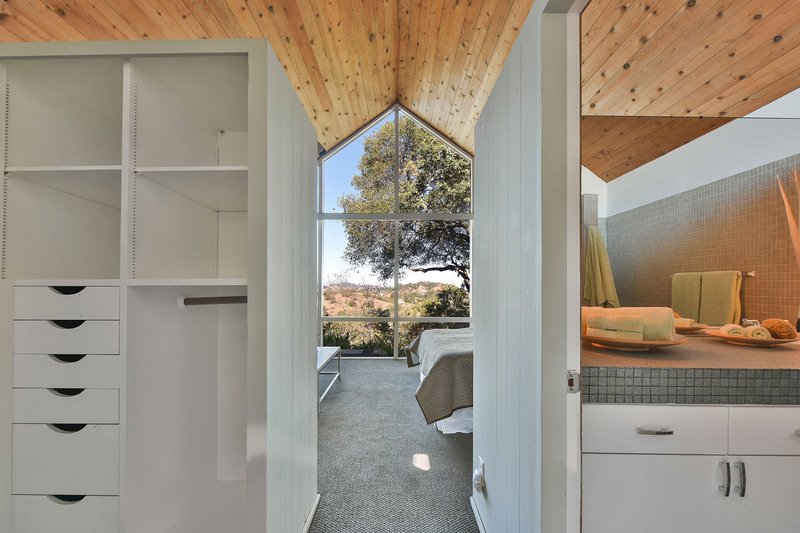 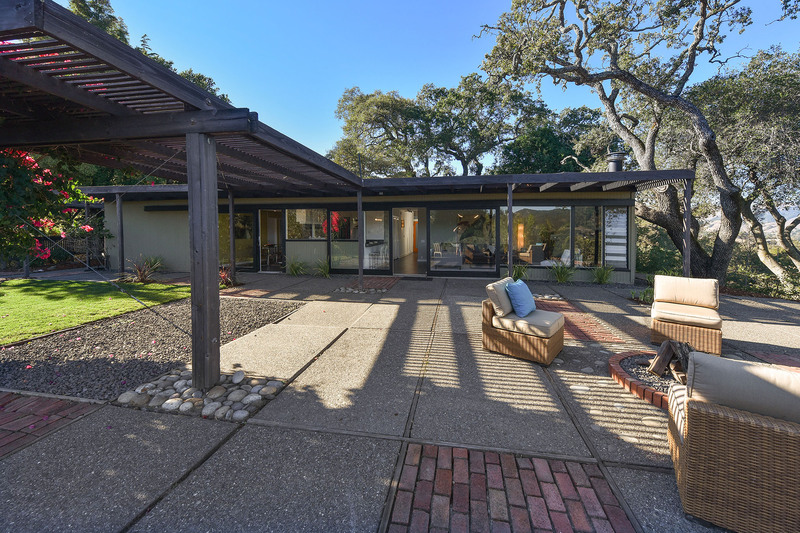 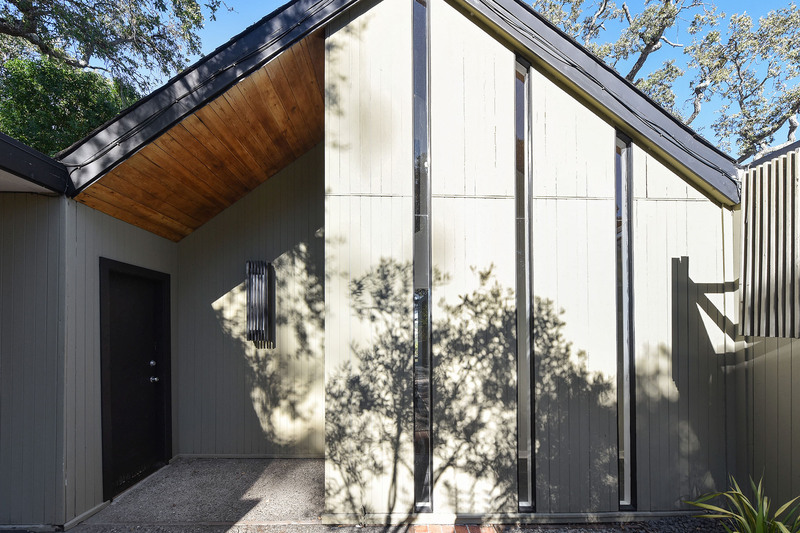 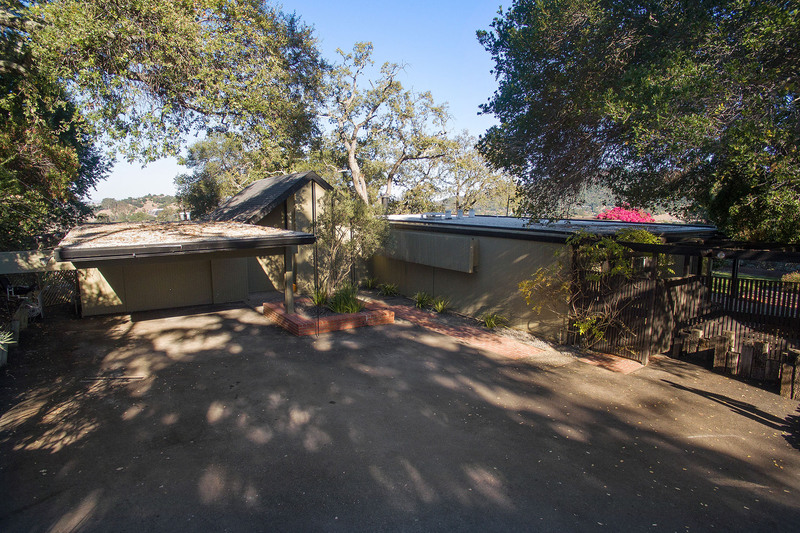 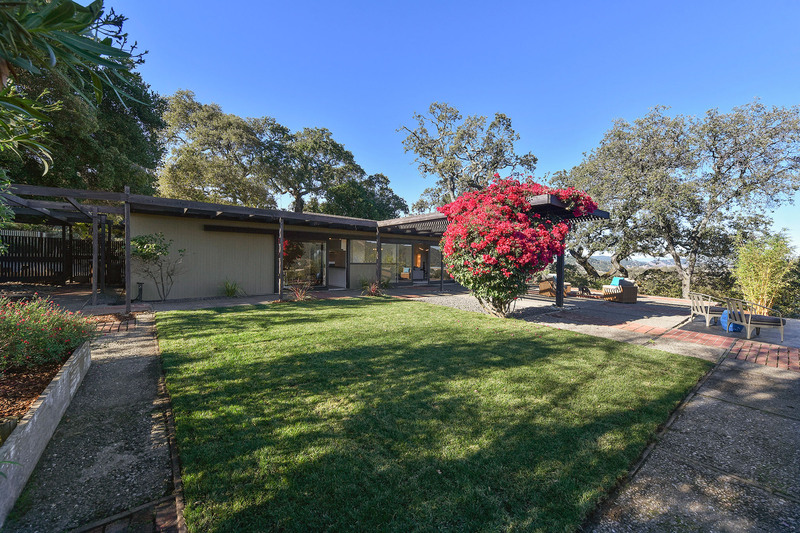 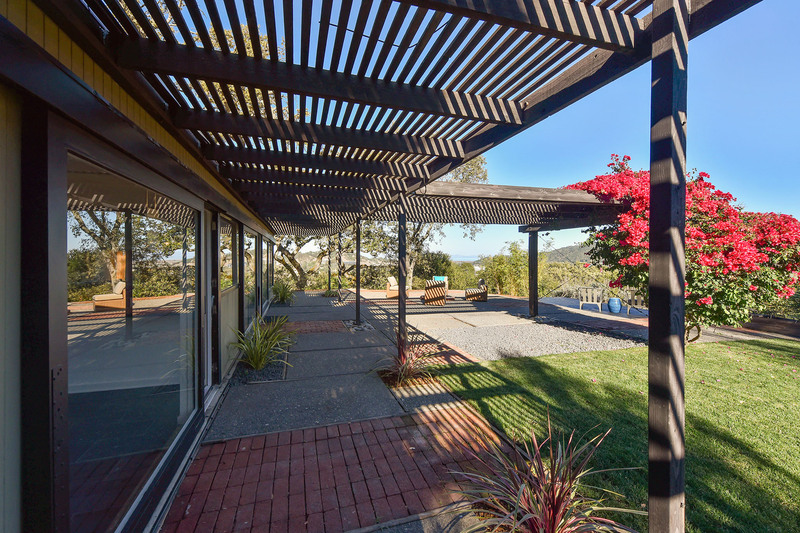 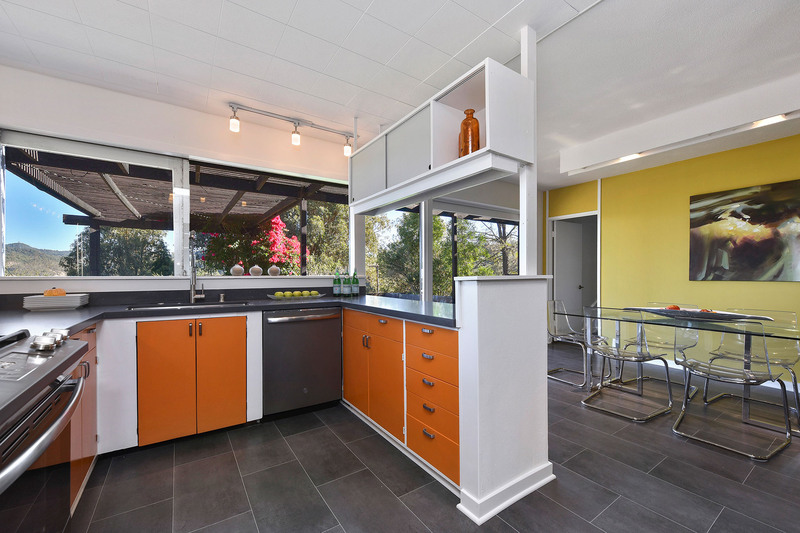 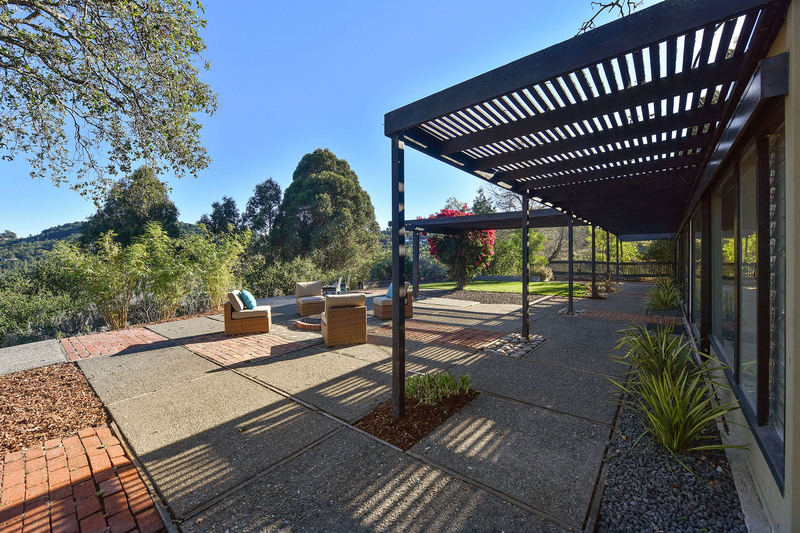 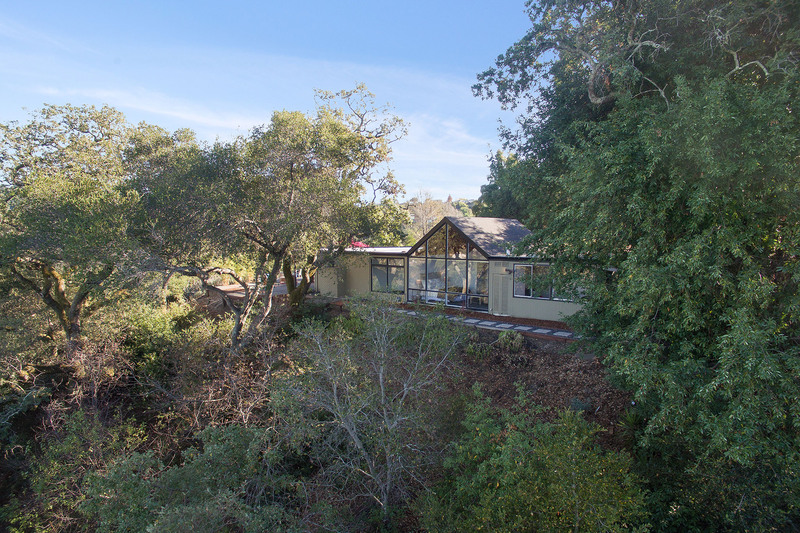 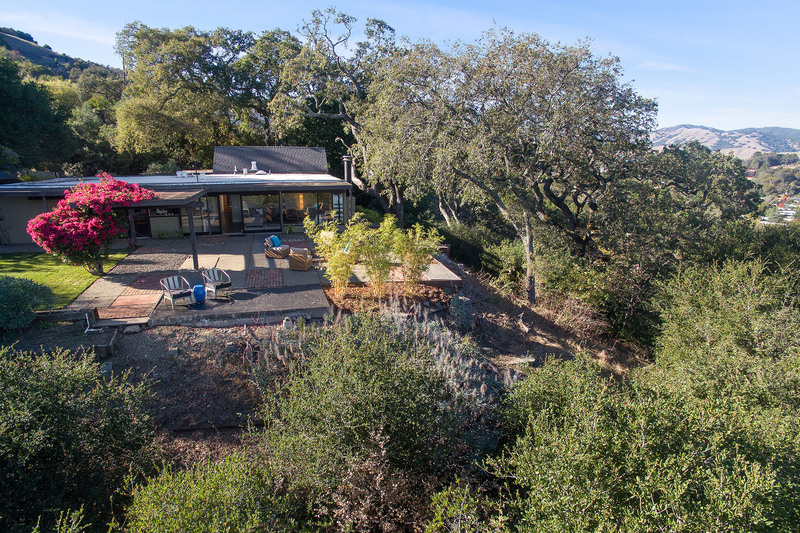 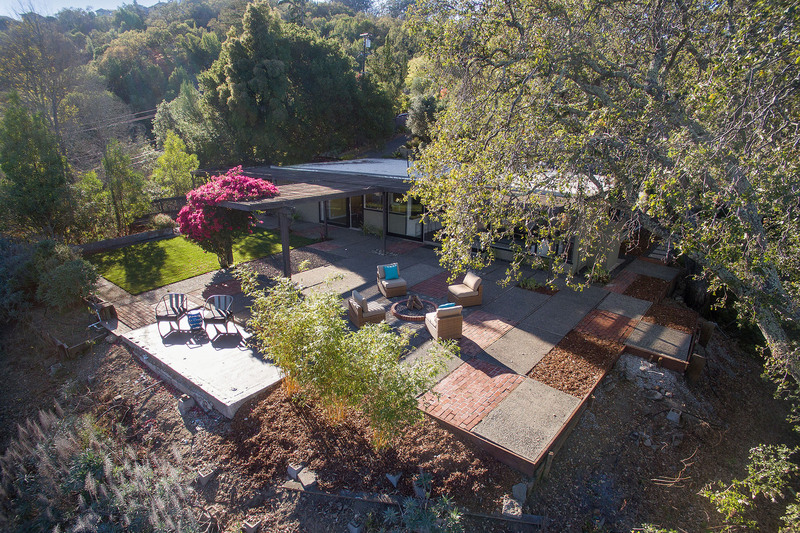 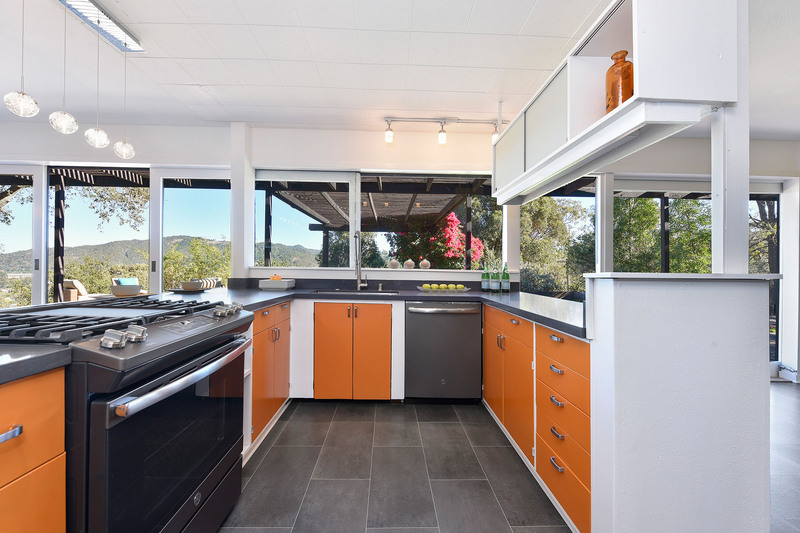 Drive up the gorgeous, winding, oak studded road and then down a private drive to find this beautiful and one of a kind mid-century modern view home perched on the hills of Los Ranchitos. 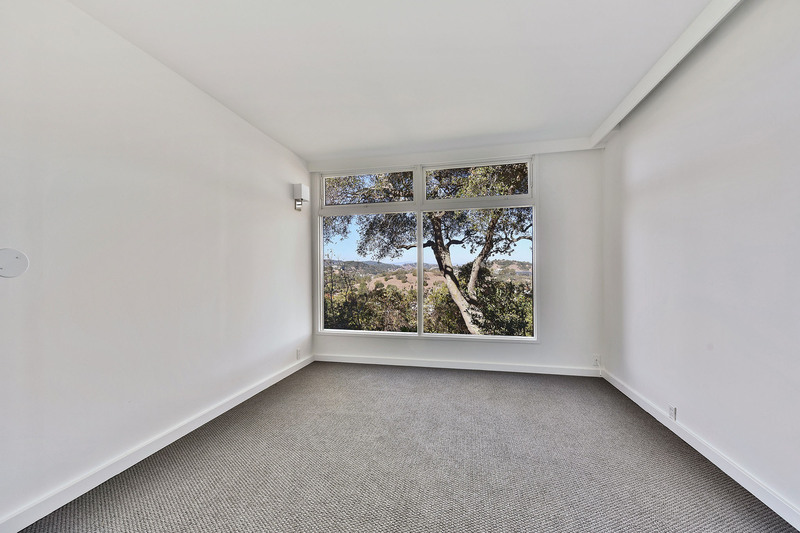 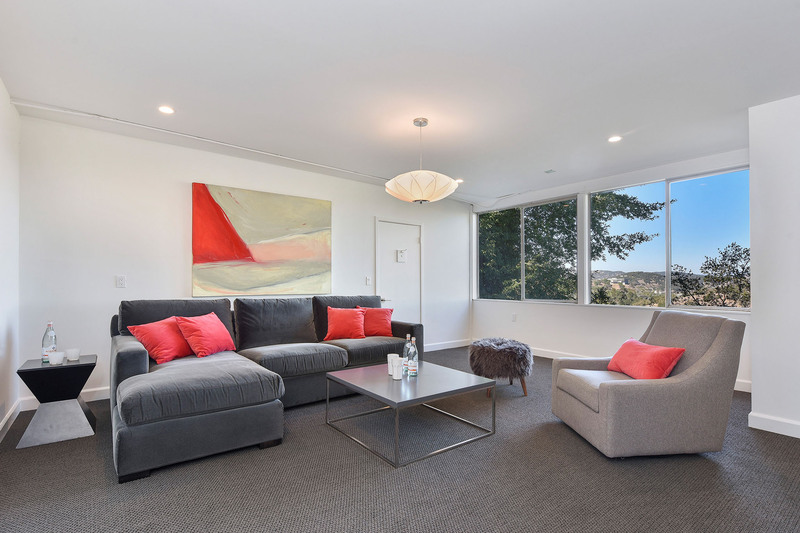 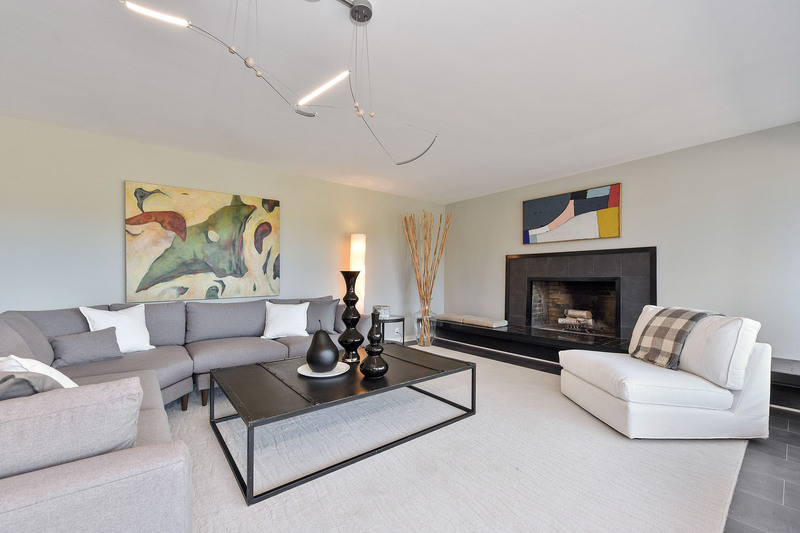 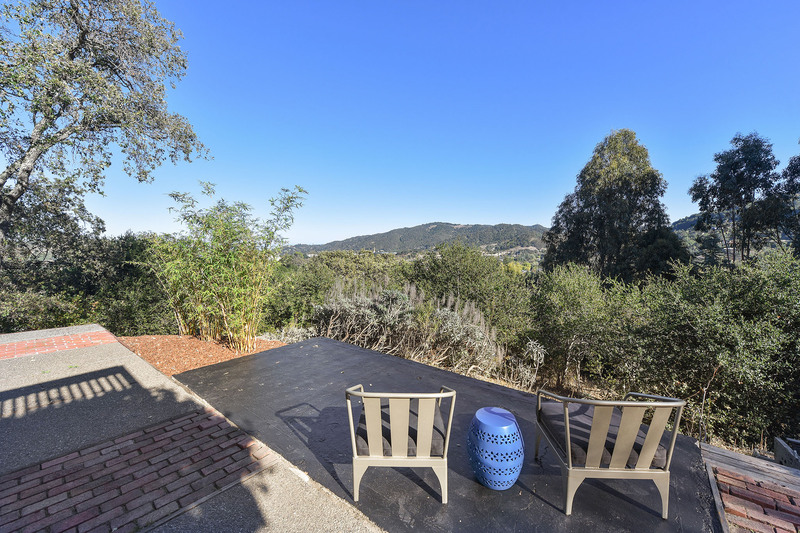 Expansive panoramic views all the way to the bay which also showcase Frank Lloyd Wright’s iconic architectural masterpiece, the Marin Civic Center. 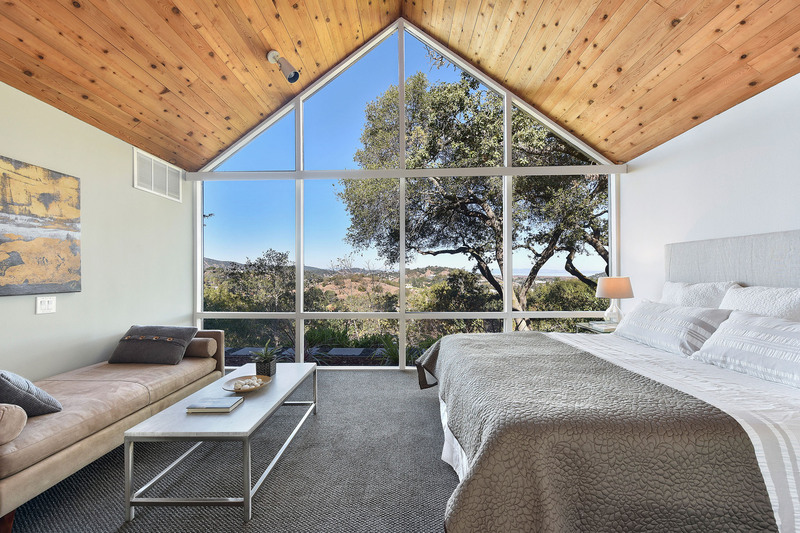 Watch the incredible sunrise come up over the hills. 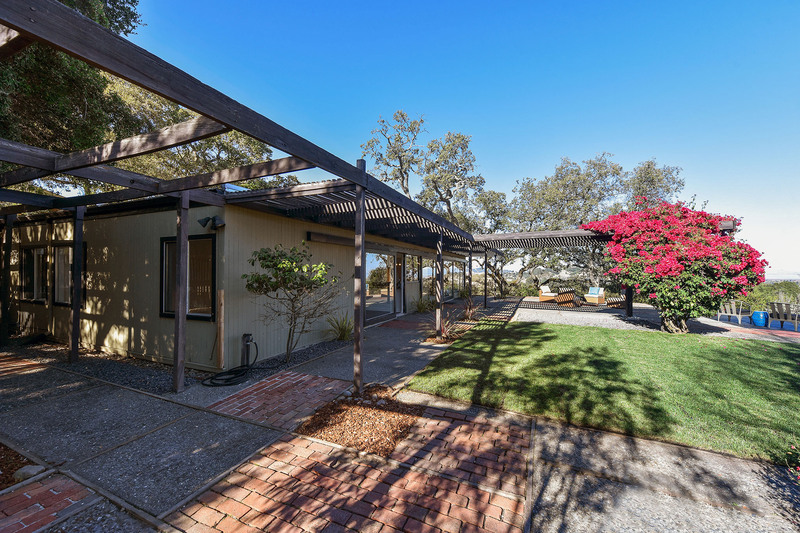 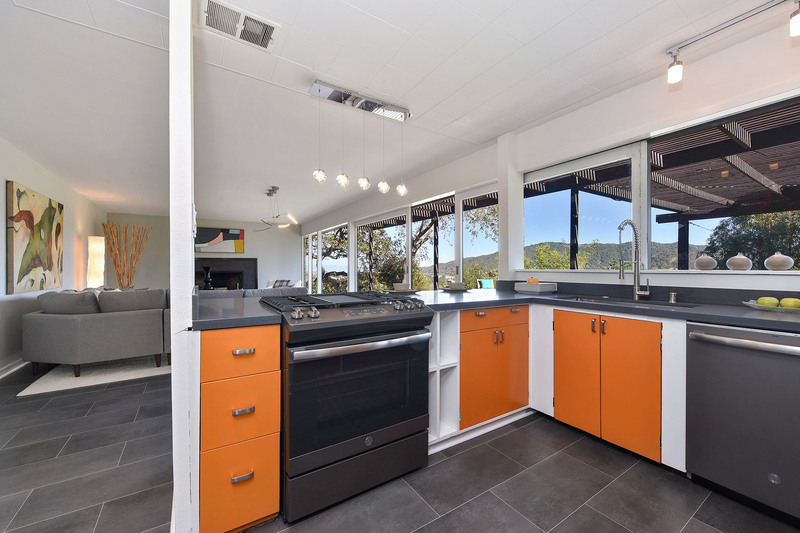 Built in 1951, this one level home situated on 1 acre, has 4 bedrooms, 3 bathrooms and a newly added bonus room perfect for a den, game room, music or artists studio. 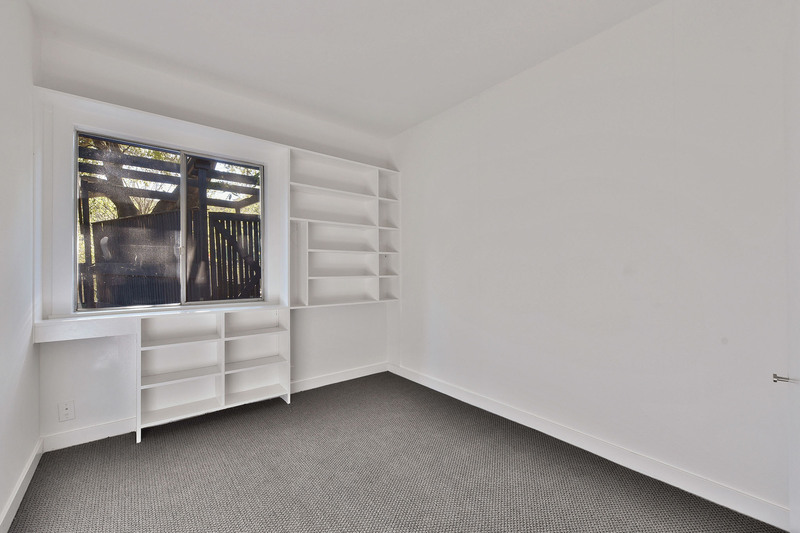 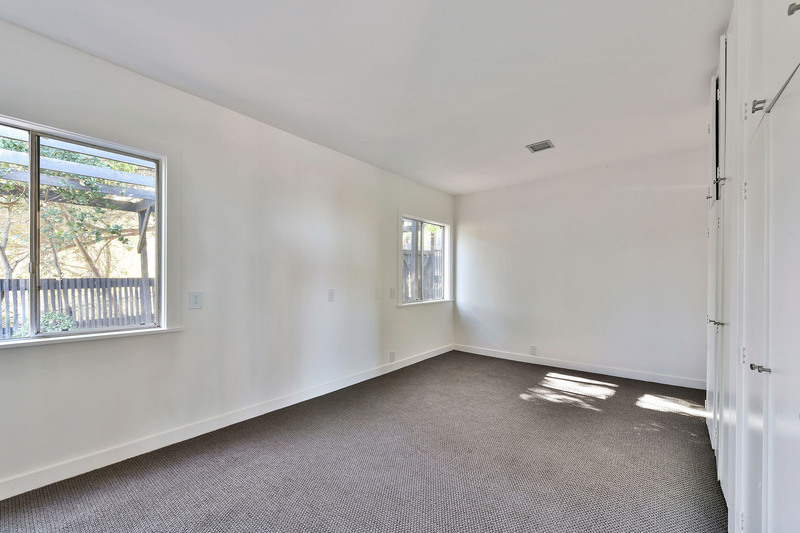 Plenty of interior living space with 2355 sq ft (according to house drawings). 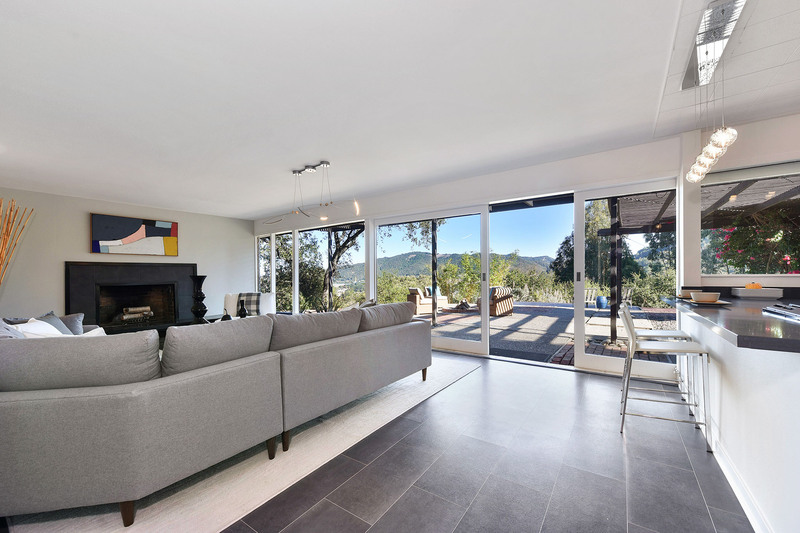 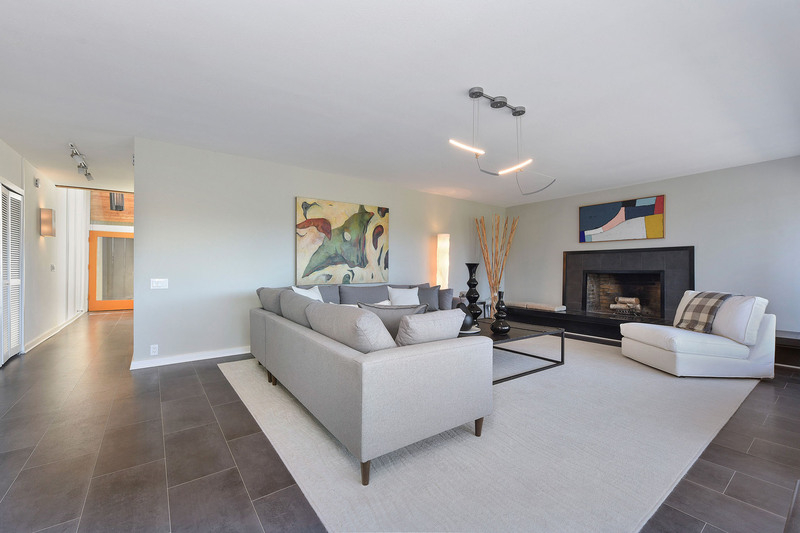 The open floor plan lends itself to the perfect space for entertaining in which you can take in the breathtaking views from almost every room and floor to ceiling sliding doors ahead of their time in design. 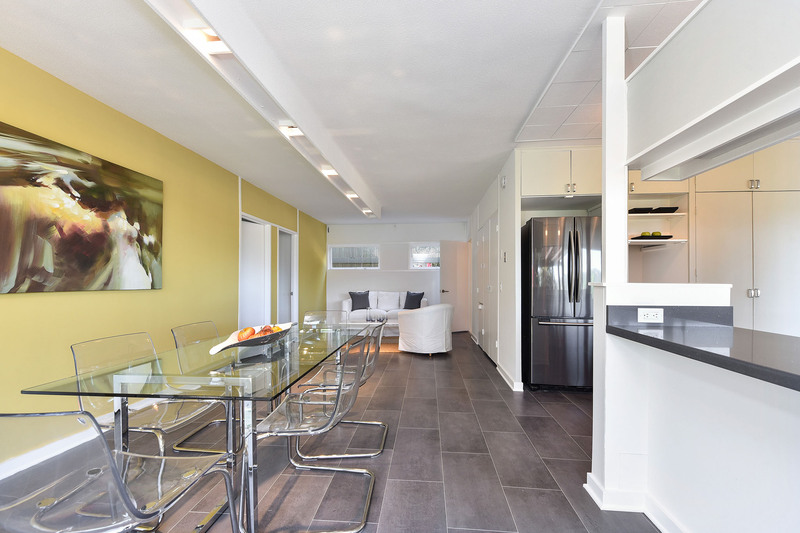 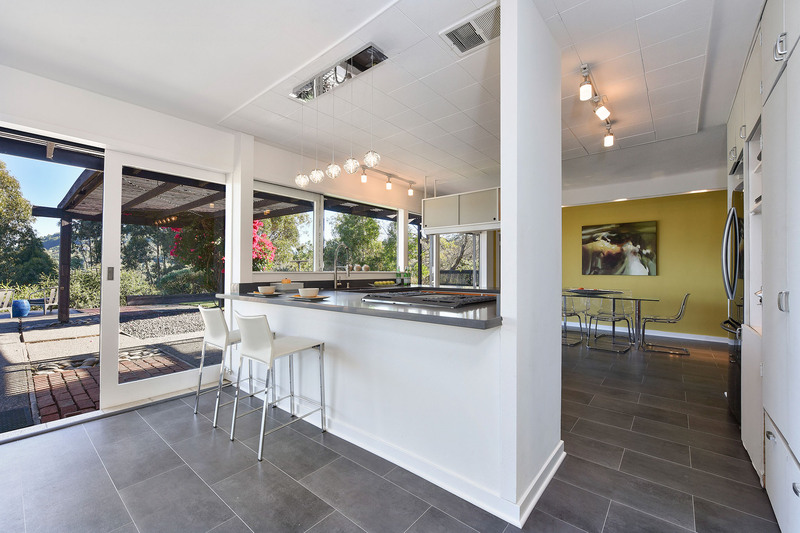 Enjoy cooking in the newly updated kitchen with bar seating, Kovastone countertops and all new appliances. 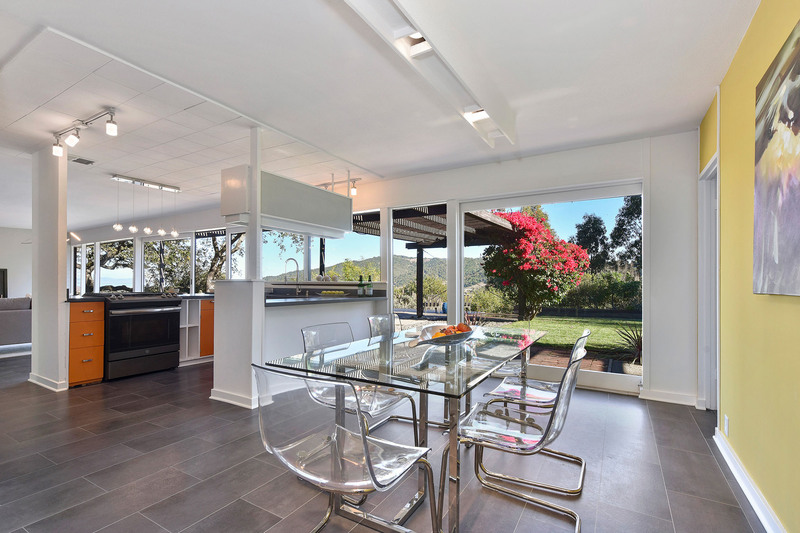 The kitchen opens to both the dining room and living room making it an ideal space for entertaining and gathering. 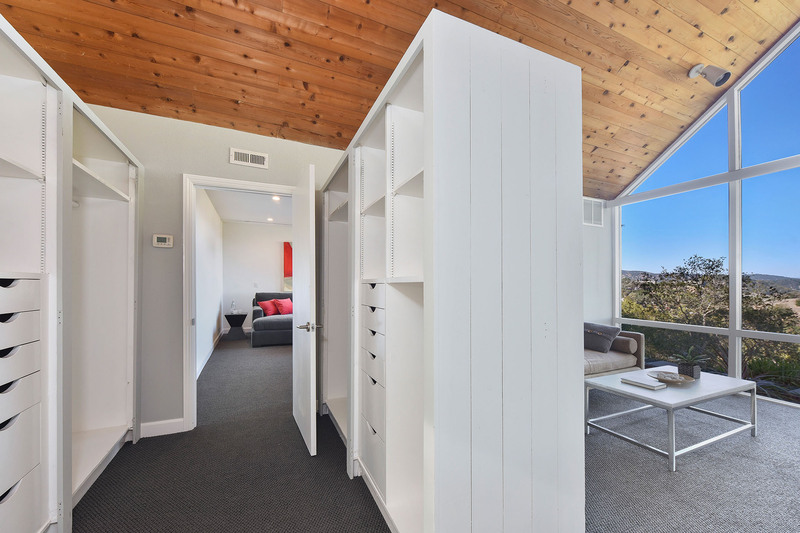 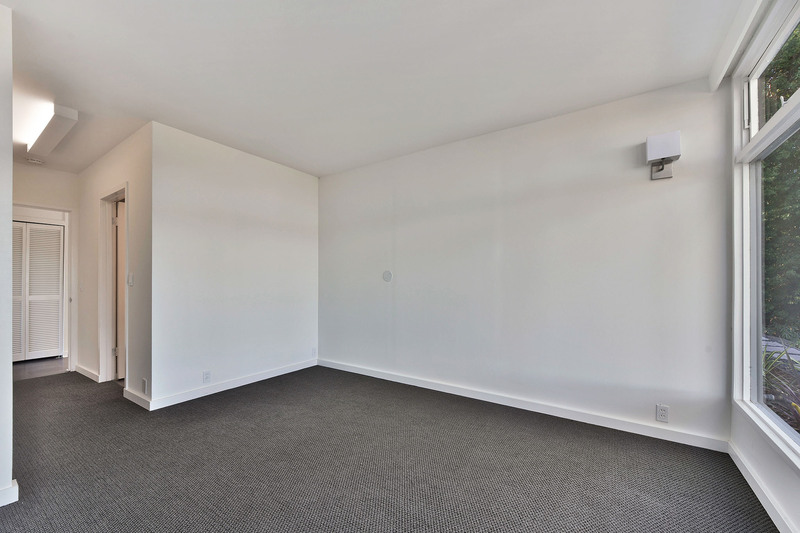 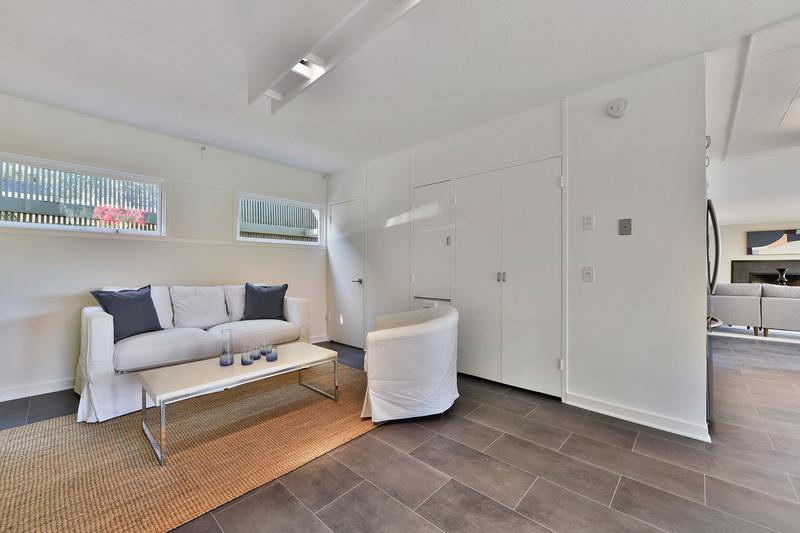 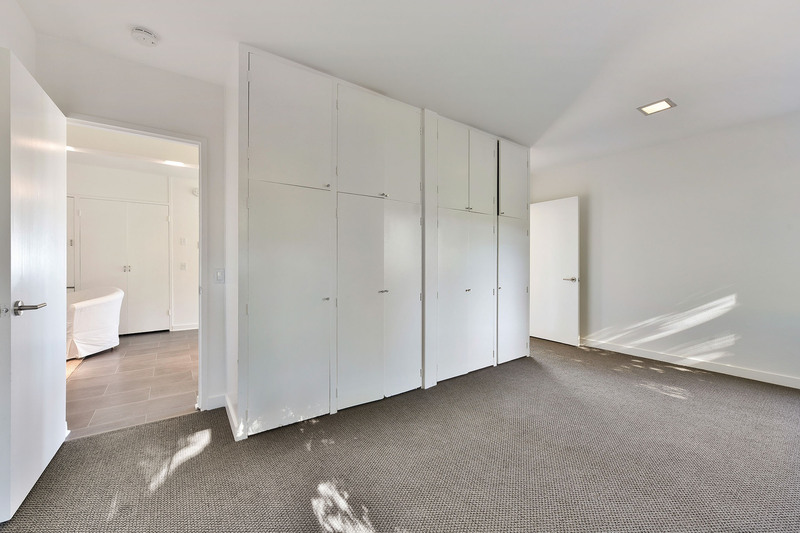 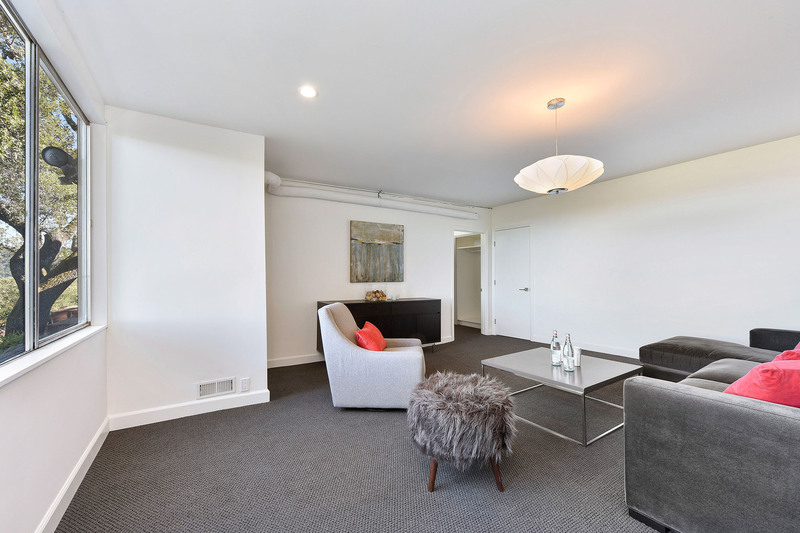 The bay view master suite has direct access into the spacious bonus room with an additional enclosed storage area. 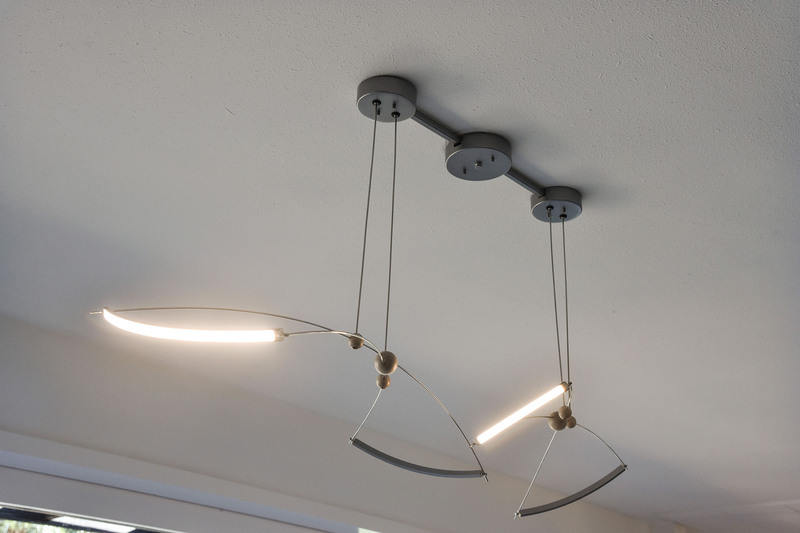 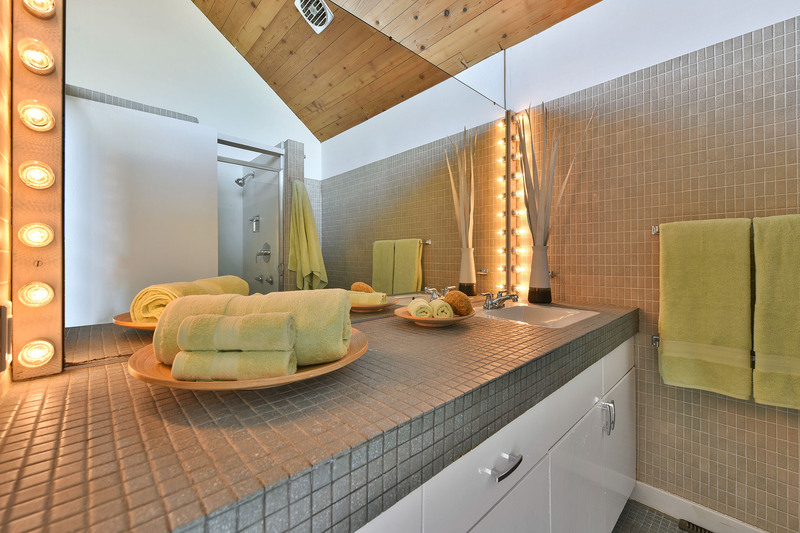 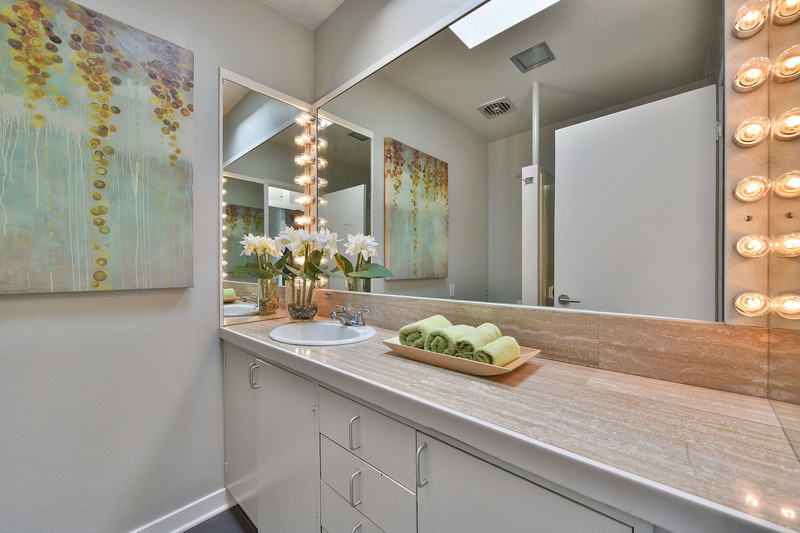 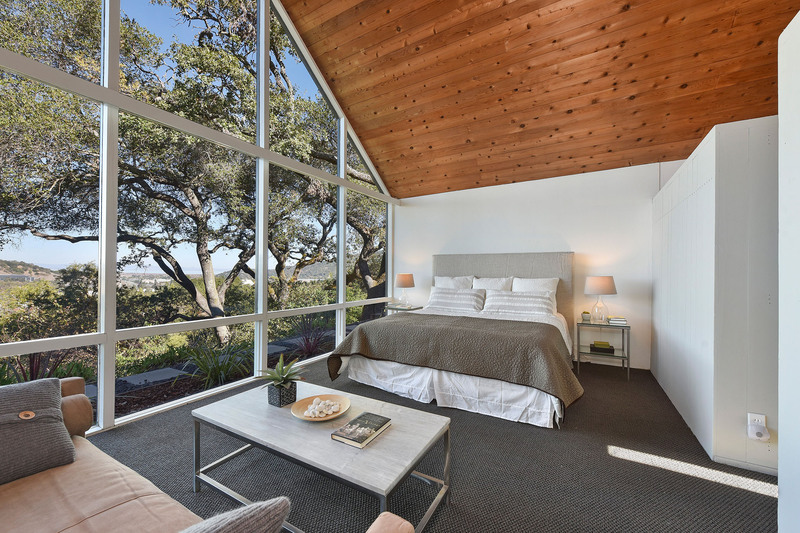 Watch the sun rise from the master bedroom while you enjoy your morning coffee! 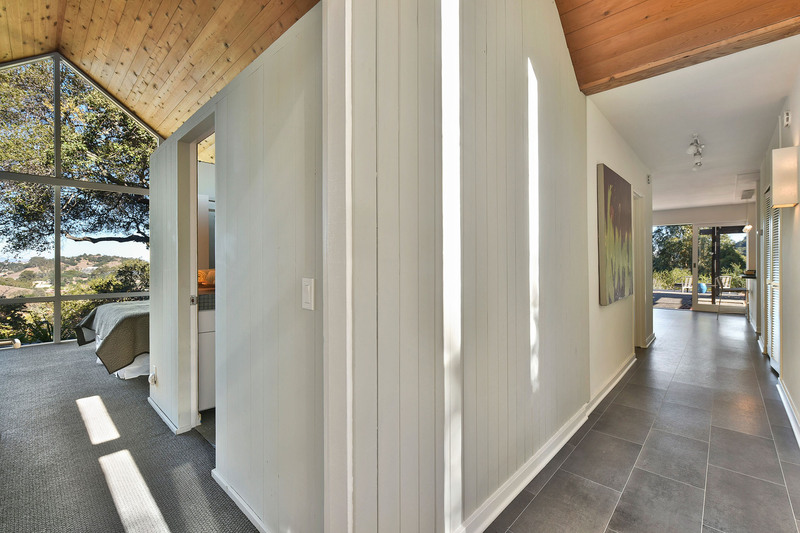 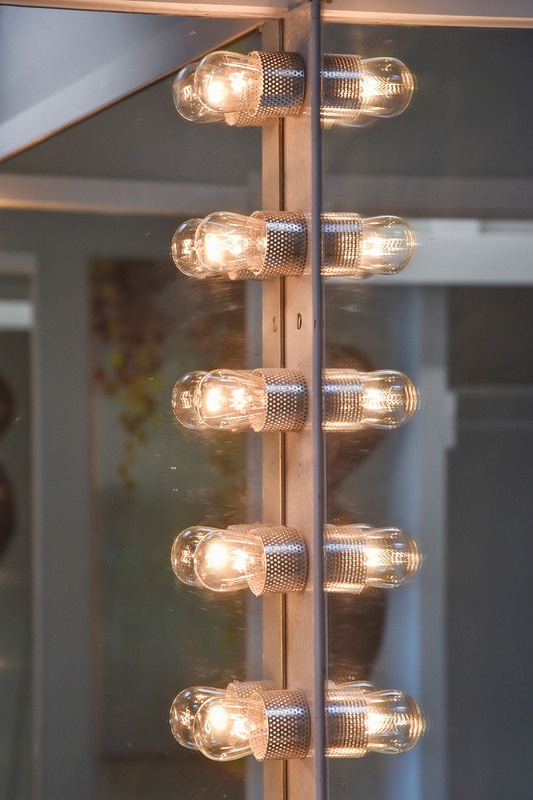 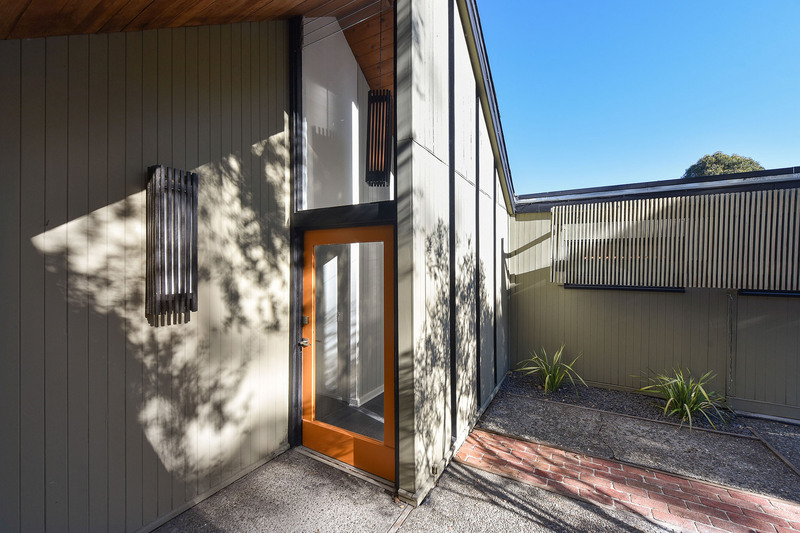 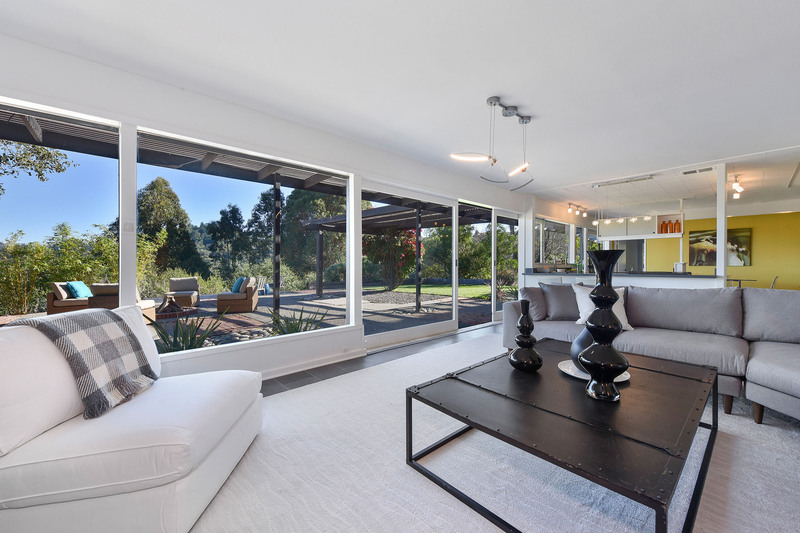 The floor to ceiling doors of glass invite all of the beautiful natural light inside the main living space and open up completely to make the most of California indoor/outdoor living. 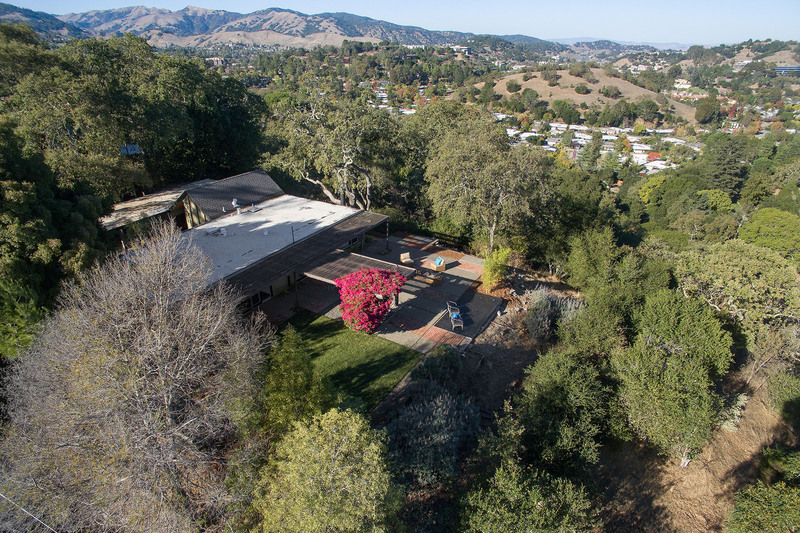 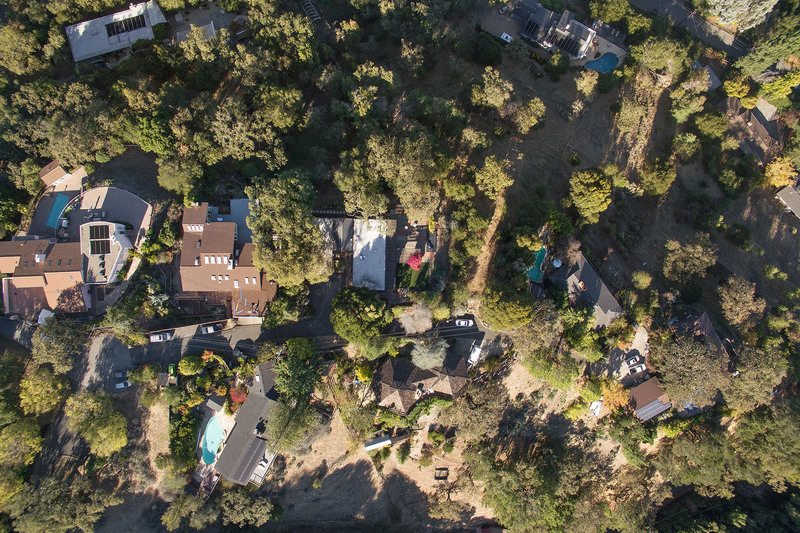 Majestic Oak trees surround the large flat lot and create an incredible amount of privacy for the most discriminating buyer. 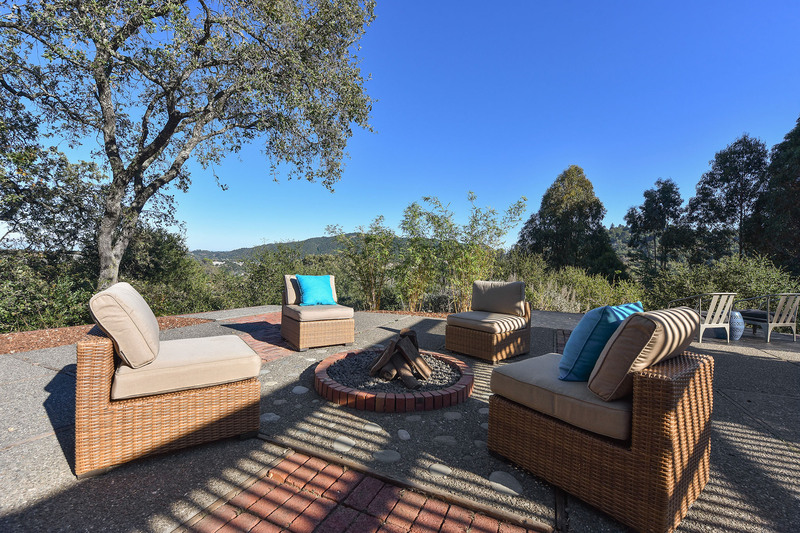 The backyard is where you will want to spend much of your time, relaxing around the fire pit, dining al fresco, hanging out on the new lush lawn, but mostly taking in the forever views. 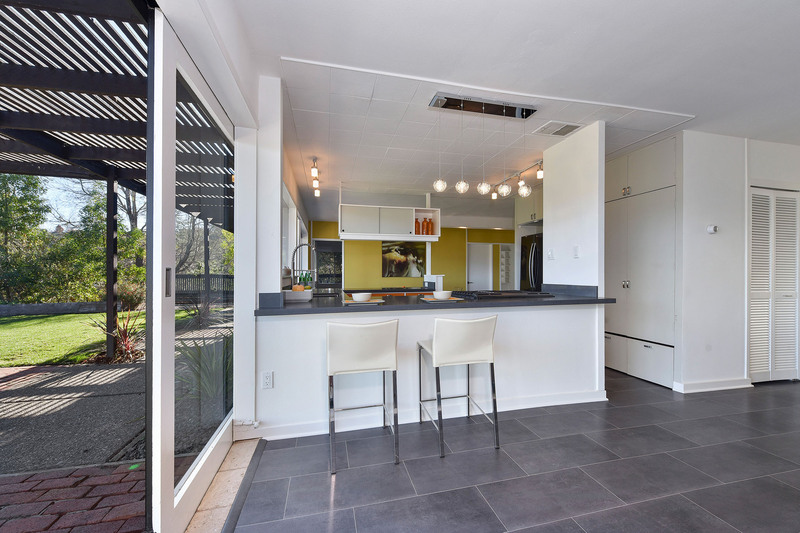 This is your golden opportunity to own a very special one of a kind modern home in the prestigious and upscale Los Ranchitos neighborhood. 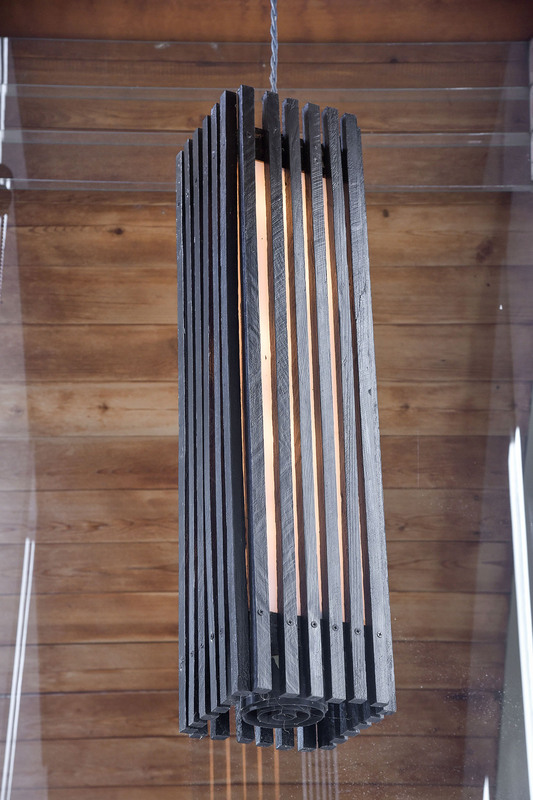 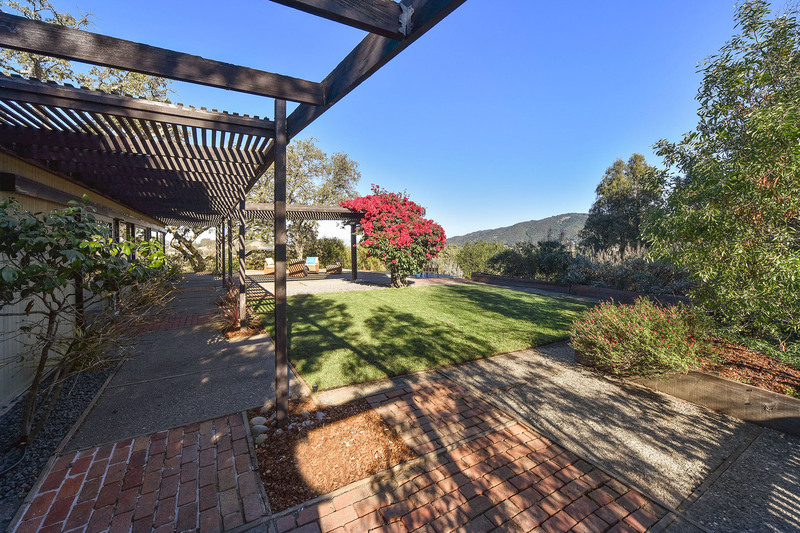 Surrounded by multi-million dollar homes and ranches, this location is one that is highly coveted. 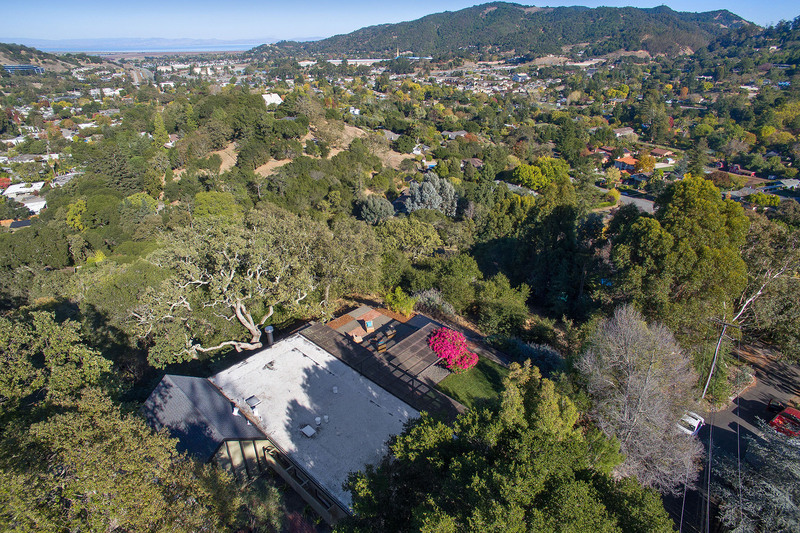 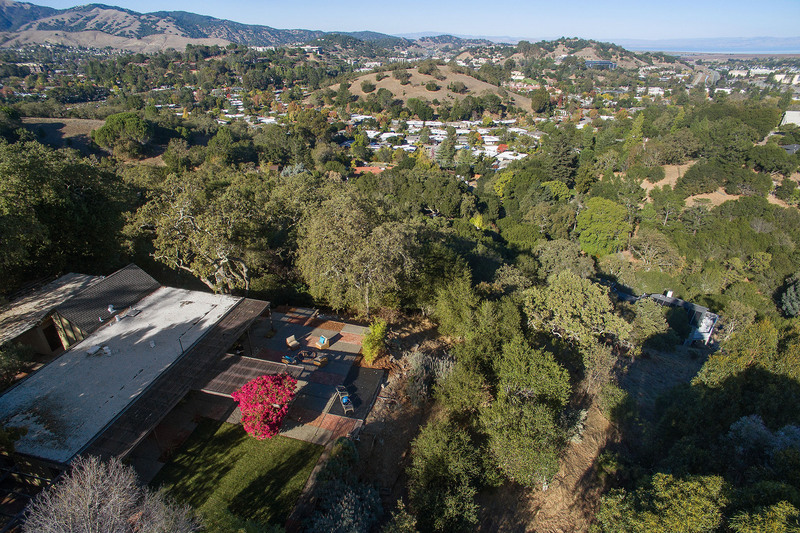 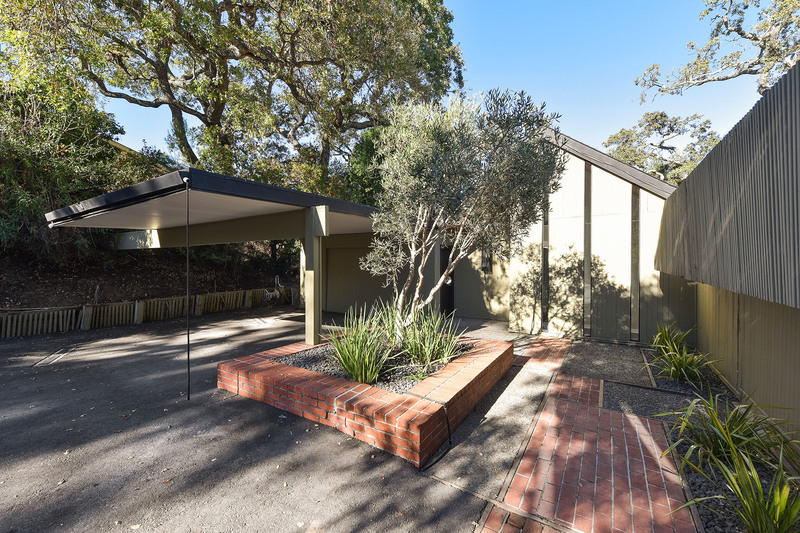 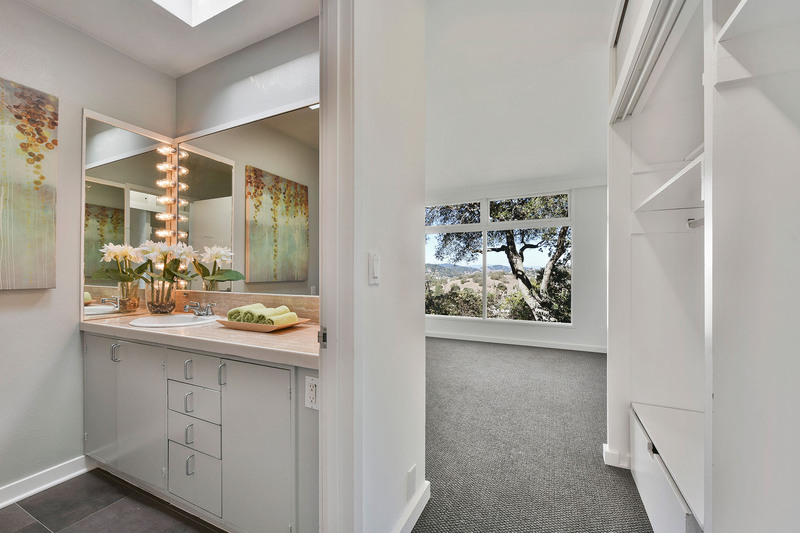 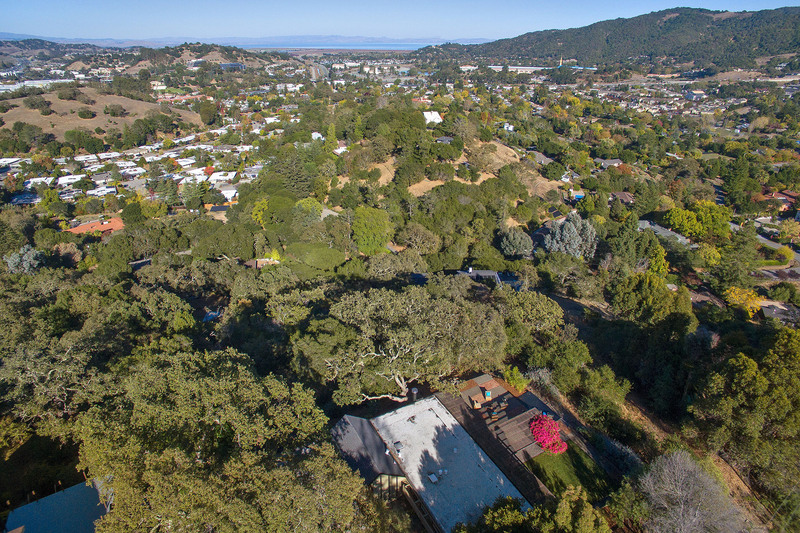 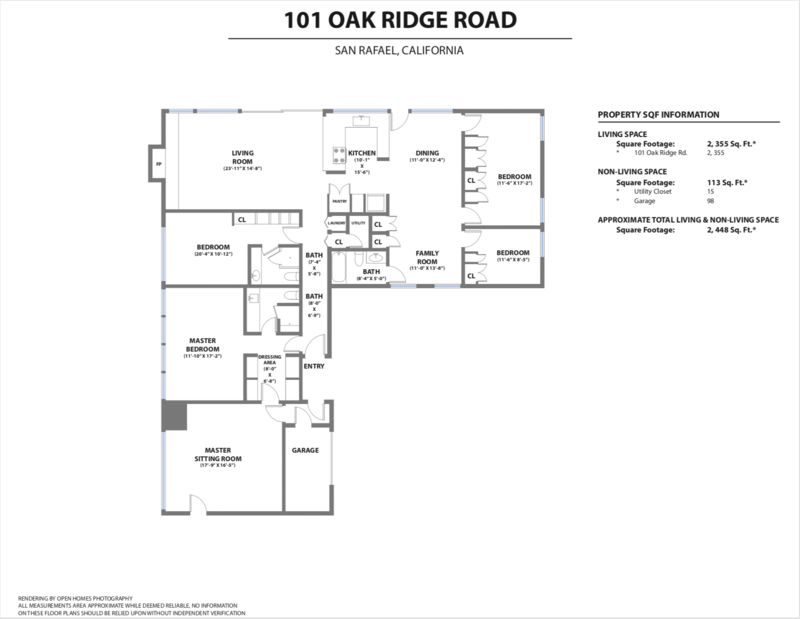 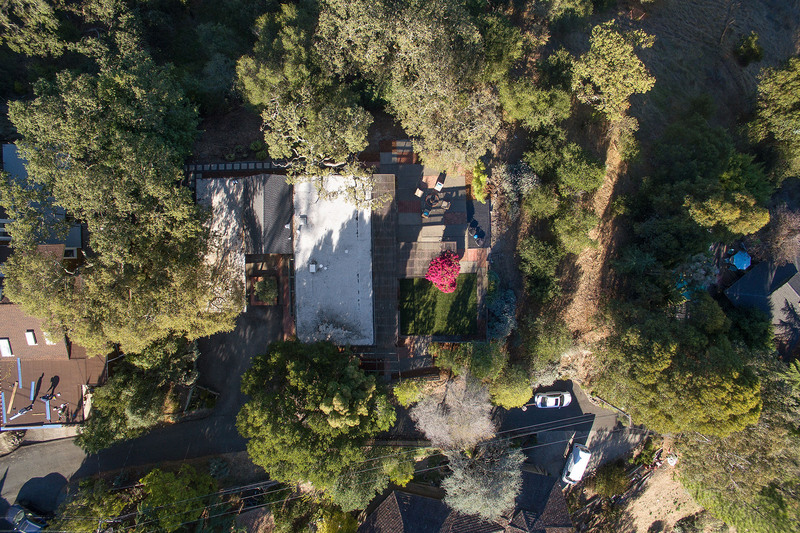 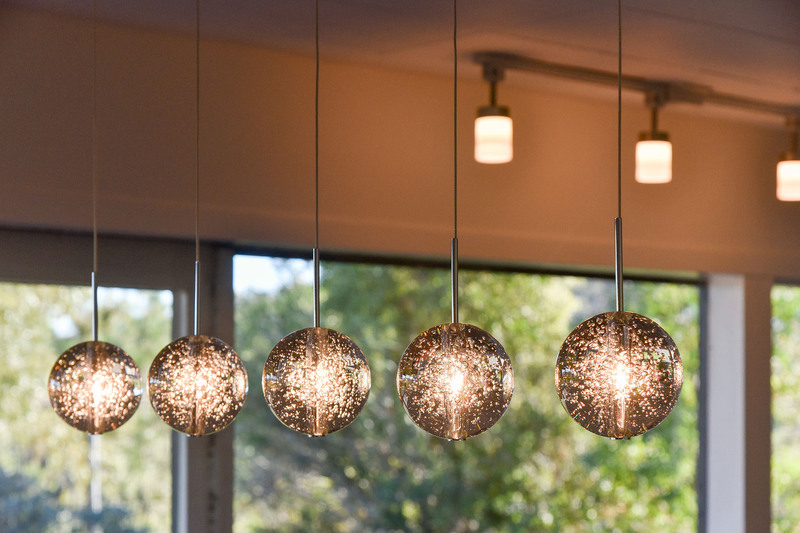 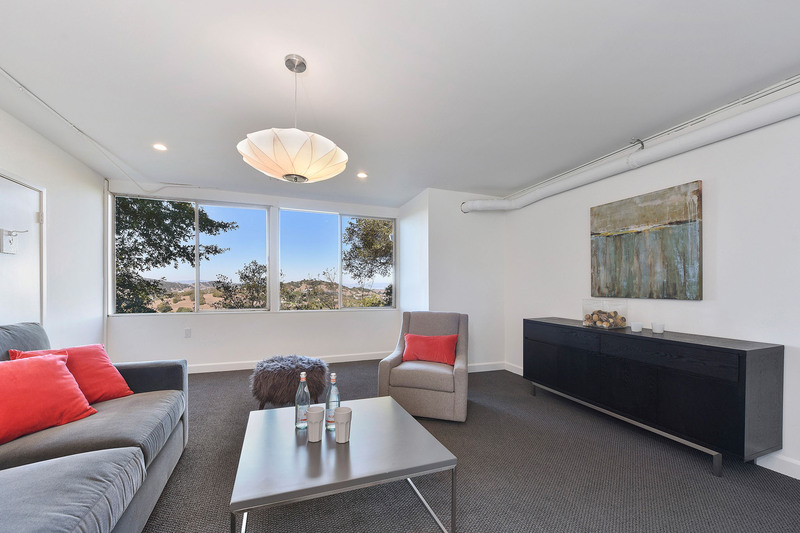 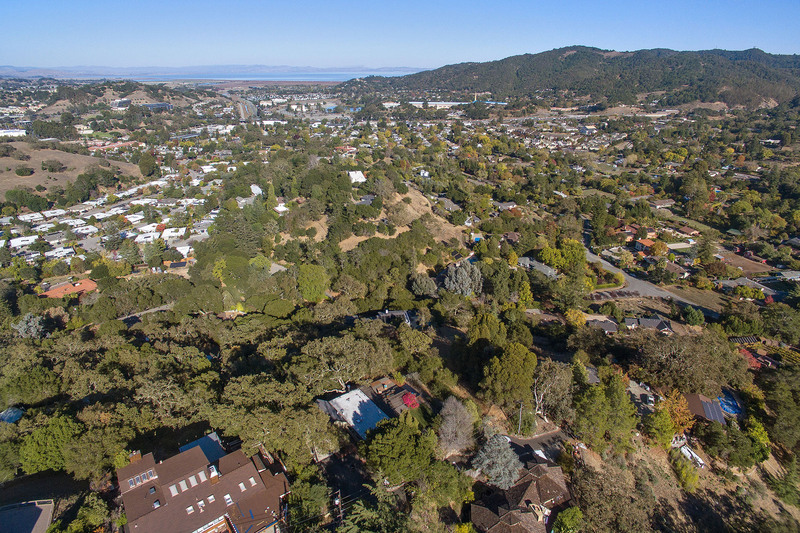 Close to everything - highway 101, hiking, biking, restaurants, shops and moments away from downtown San Rafael. 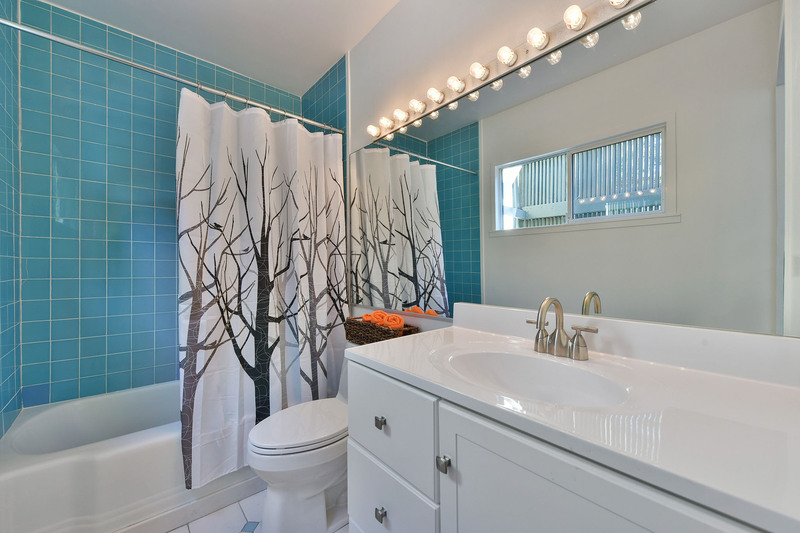 Also located within the very desirable and award winning Dixie School District!